I bet you all remember the era of country wooden heart decor? I sure do! I had a lot of it myself. Nowadays wooden heart decor is readily available at thrift shops. I don't pick it up much, unless I think I can disguise or cover up the hearts, or it's for a Valentine's Day project, then it's perfect. I purchased this heart piece at a Goodwill in Bemidji, Minnesota, last weekend. It actually has a date carved into the back. 1988. That sounds about right! First I brushed on a coat of Clear Zinsser Bulls Eye Shellac . This will help with stain bleed through on white chalk paint. I then brushed on two coats of Chalked Paint in Chiffon Cream . Rustoleum Chalked Paint is one of the best inexpensive chalk paints I have used. It wet distresses very well. Wet distressing involves wetting a t shirt rag and wiping the edges and large areas of the piece with the rag. I rub harder on the edges and less in the center areas. 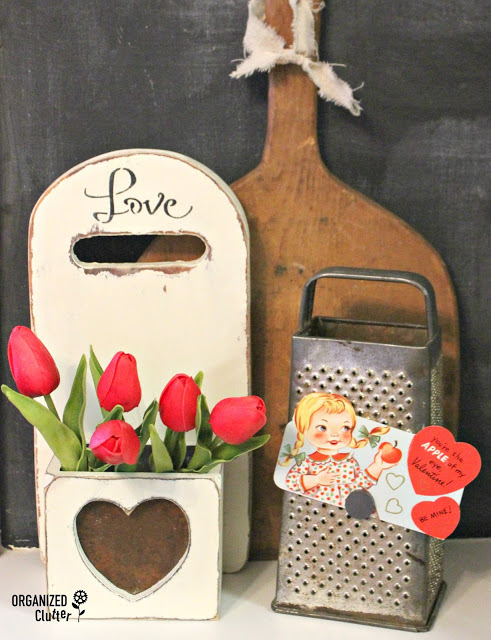 These are two stencils I used on my Valentine's Day project. 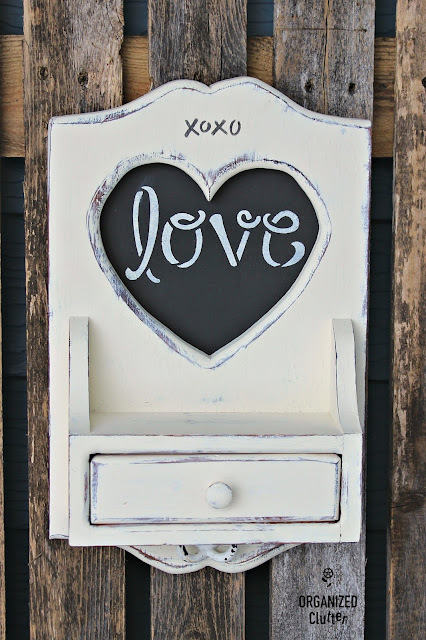 Love was stenciled with Ceramcoat in Buttercream on the chalkboard and xoxo was stenciled with Ceramcoat black craft paint above the heart cutout. I sealed the chalk paint with Minwax Paste Finishing Wax in Natural . 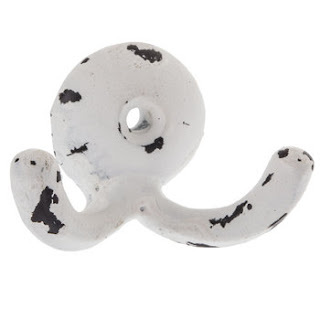 I also added this hook from Hobby Lobby. 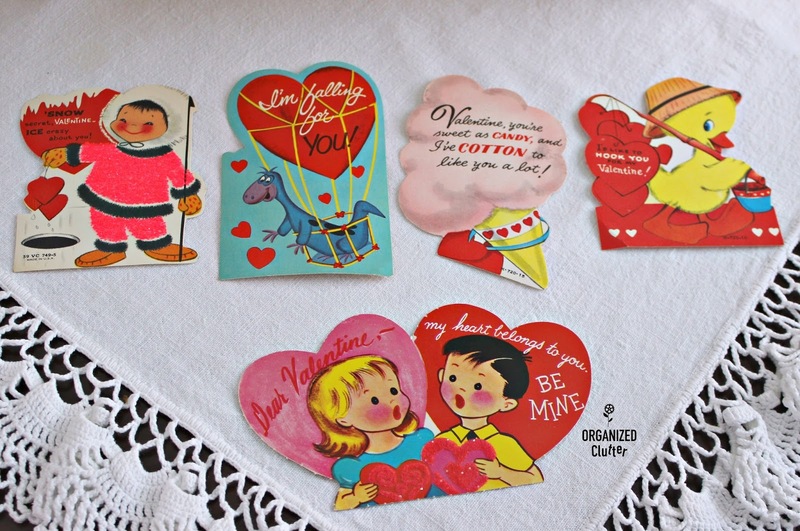 I received these vintage Valentines back in 1961 from my kindergarten classmates. I have at least 50 old valentines from the 1960's. All were addressed to me from classmates, family and friends. 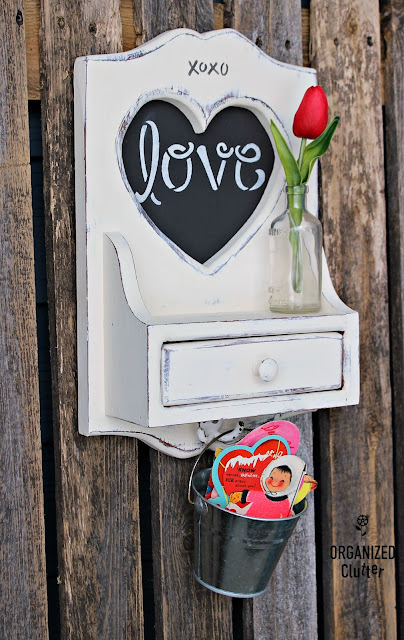 I added a red tulip to a small vintage Listerine bottle and placed it on the drawer shelf, and added the old valentines to a Hobby Lobby pail. 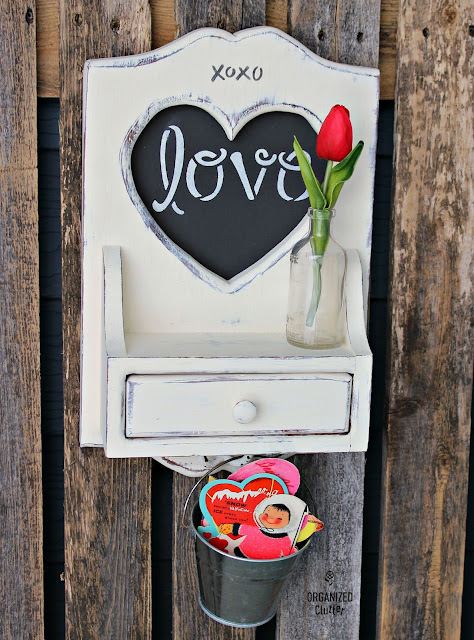 Here is my farmhouse style Valentine's Day decor project! You have the best ideas Carlene. Yes pinned. Always like that you include the paint, stencils and all necessary instructions. Keep cozy. Those heart shaped wooden things abound in thrift stores...you're right. You gave it a fresh new look Carlene. I love the addition of the vintage Valentines & the rose in the Listerine bottle. Just the perfect touches. Hi Carlene. My daughter made a shelf like this in International Falls Junior High School shop class in 8th grade. I brought it out to California last year when I drove out. She wanted it for the sentimental value, but it certainly does not fit in with her decor as it is. I will show her the possibilities with a makeover. It would fit in to my granddaughter's white bedroom. Cute makeover! This may have been a school project too! It had a name and Bagley Minnesota 1988 carved into the bottom. I love following you and your great ideas...I'm not sure I would have known what to do with the heart shaped wooden thing. Thanks so much for sharing! !